It has been painful to read and watch the generally asinine Canadian media reaction to the North Korean crisis. The focus has not been on the lunacy of the North Korean regime and the consequences of that country becoming a nuclear power, capable of delivering ICBM's on North America, but rather on what has become the heavy Canadian addiction to imputing the basest and stupidest motive and meaning to any utterance of the president of the United States. Trump was certainly not threatening nuclear war. It is Kim Jong Un that is doing that, this week with threats against Guam, a Pacific island with extensive American air and naval bases on it. The United States has been firmly committed to the doctrine of no first use of nuclear weapons since the evaporation of the Soviet land threat to western Europe more than 25 years ago. Trump and Mattis are speaking of massive carpet-bombing and precise targeting of conventional missiles and smart bombs on a scale that would eliminate every military target in North Korea and which would inevitably involve some collateral damage to the civil population. The United States certainly possesses the ability to inflict such damage, and it is not inappropriate to think in such terms now. The United Nations Security Council, normally one of the most frivolous deliberative assemblies in the world, voted unanimously last weekend to impose sanctions on North Korea, a late and insufficient beginning but a clear indication that everyone except the dunciad in the Canadian media is now taking this issue seriously. There are plausible intelligence reports that China has come to life and has ostentatiously massed heavy units right on the Yalu across from North Korea. For decades, the Chinese have delighted in feeding the attack dog in Pyongyang while unctuously denying that it had any ability to restrain North Korea. The stupefying failure of the three preceding U.S. administrations to deal with North Korea has been dumped into Trump's lap. I don't recall the Canadian media going into a dance of gleeful mockery when President Bill Clinton gave North Korea over four billion dollars to stop their nuclear military program and they didn't do it, or complaining about President Barack Obama's empty shilly-shallying on this issue over the last eight years. This past Thursday, this newspaper ran on the front page an opinion piece by Andrew Coyne (who drank himself into insensibility on the Never Trump Kool Aid before that intoxicant was being dispensed to the public in ten-gallon barrels), in which Andrew triumphantly asserted that the defiant response of the North Korean regime ended the 2017 nuclear crisis with a called bluff and the total humiliation of the United States. Trump was not bluffing and this crisis has not reached its final act. The question of why large numbers of intelligent people have been reduced to babbling idiots by Trump's presence in the White House will be a matter of great historical curiosity, though I find it a rather hackneyed subject now. If China and U.S.' sabre-rattling do not arrest the North Korean nuclear program, the United States is going to have to destroy every military target in North Korea simultaneously and without warning, which will at least have the additional benefit of causing the hot air balloon of most Canadian commentary on world affairs to shrink and be less incontinent, as well as delivering East Asia and the world from a threat that everybody except the CBC and a few quavering Canadian print journalists takes seriously. 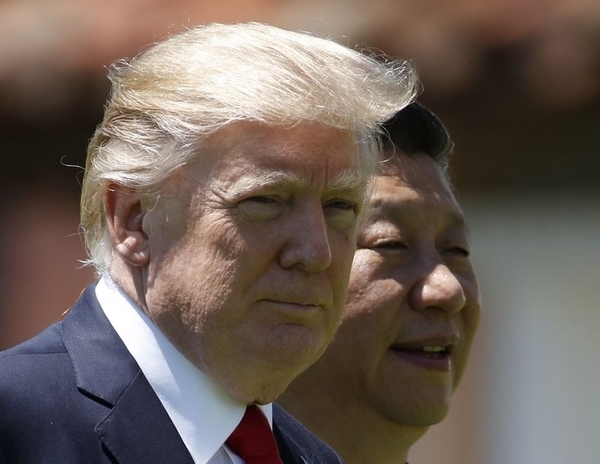 At that point, if the Chinese do not cooperate in stabilizing a nuclear-sanitized peninsula, it will be time for the United States to administer a few gentler lessons to that duplicitous country. It could start by eliminating at a stroke the huge Chinese trade surplus with the U.S. that has been allowed to accumulate; canceling the visas of the 300,000 Chinese students in the U.S.; encouraging and arming Taiwan to pull out of the Nixon-Chou En-lai One China agreement, and arming South Korea and Japan to the teeth with offensive and defensive weapons. The Canadian media are probably too obtuse to learn anything from such a sequence of events, but at least it would have a salutary influence on Iran. We can all be grateful that Obama and Kerry don't have to address this one; there would be a blur of transgressed red lines. Many must wonder when the Canadian international reporting and comment brigade is going to attain at least the airs of professionalism, and not just the collective silliness of giggly schoolyard gossips.